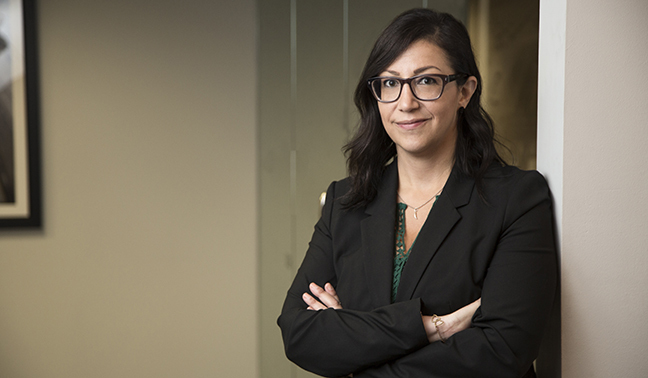 Leah E. Plotkin is a discovery paralegal with experience in product liability litigation, insurance defense, employment law, and patent prosecution. Leah facilitates the coordination of all aspects of the discovery process, including drafting motions and discovery responses, direction of experts, documentation preparation for witness and expert depositions, document production, and fact investigation. Prior to joining the firm, Leah gained knowledge in paralegal work at Young Basile Hanlon & MacFarlane. Leah is a member of the Detroit Chapter of the Association of Certified E-Discovery Specialists (ACEDS). She is currently working to obtain CEDS Certification, a credential that covers the full spectrum of e-discovery including project planning, litigation hold implementation, document review, data processing, review planning, and budgeting. Leah is a Registered Notary in the State of Michigan and studied at Oakland Community College with a focus on Paralegal Studies.